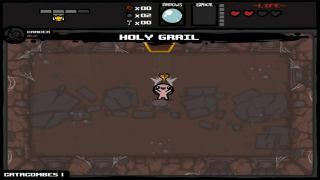 If you're a Binding of Isaac player, you've probably already moved on to Rebirth by now, the recent, spritely remake that adds new content and performs way better, on account of it not being made in Flash. Well now you have a reason to return to the original game. Florian Himsl—co-developer of the original version—has just released his promised update that adds a new Hard mode, "eternal" enemies, and makes bug fixes and other changes to the game. The free update is on Steam now, and you'll need the Wrath of the Lamb expansion to play it. The above video details some of the changes, which should make for a nice challenge for Isaac pros.